After successful stints with us temping for the last 3 months, Dave has been selected to become permanent member of the Production Team. 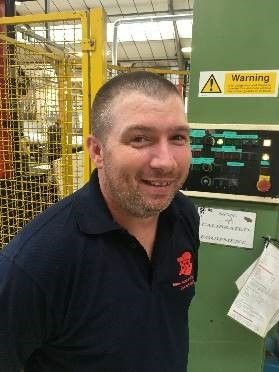 Dave Owen: Dave has joined the Fabrication Team under the watch full eye of Team Leader John. Dave is a keen hobbyist, from metal detecting to Lego and even has a few creepy crawly pets - tarantulas! We welcome him to the company and help us continuing the amazing growth we have seen over recent months.